Such a situation can be avoided if you are the dog owner and I shall go into greater depth here setting out the various reasons as to why a dog may be barking in the first place, how to stop it and how to cope with complaints should you receive one. For balance, I also look at how you could approach the matter if you are on the receiving end of a barking dog that is causing a noise nuisance. Let’s take a deep dive into the various reasons why a dog may be barking. As you will see, dogs use their vocal abilities to express a wide variety of emotions, and we as the owner are able to address most of them with the appropriate training, time and care. One reason that makes dogs such loyal pets over the many thousands of years is their ability to detect noise and movement when we might be oblivious to the same. Their ability to pick up on activity in and around a property is uncanny. They can hear more, smell more and have eyesight that is far better at motion detection and also a much better capability in low light. One of the most common behaviours a dog will resort to when seeing something either on or near the property is to resort to barking to deter a person/animal/vehicle and to alert us at the same time. Dogs are naturally protective over the home and its occupants, some more than others of course. It is this sense of protectiveness that can be reassuring, but if your dog is not adequately trained or controlled, he may act in a way that is not desirable and excessive barking can easily be the result of being overly protective or territorial. It may sound obvious, but if your dog is barking outside bring it in. Doing something tangible to remove the dog’s opportunities to practice unwanted behaviour is always my first port of call. Then we can look at ways in which the dog can be given access to (in this example) the garden, but with adequate supervision and control and reward measures in place to allow you, the owner to calmly interrupt unwanted barking in the garden and to guide your dog into a calmer response as you oversee his behaviour in that area. Coming back on myself somewhat, I would not leave a dog under 12 months unsupervised in the garden at any time. This is the period of development where habits (good and bad) can be formed and it’s relatively easy to stack matters in your favour if you’re there first hand to address anything that your dog is doing that you’d like it to stop. Unsupervised dogs in the garden can dig in your borders, obsessively chase lights/shadows, eat its own poo (coprophagia), be at risk of theft and of course, bark. So are you struggling with your dog's barking in the garden and how do we stop it? I made this short video on the very subject a couple of years ago. It’s a balancing act of stopping the behaviour we don’t want using balanced and fair means and being sure to be present to supervise, mark and reward the behaviour we do want. Doing one without the other is not a balanced approach and can greatly limit your chances of success. Depending on the size of the garden and activity levels of the dog, I would begin by placing a training line on the dog so you have the ability to physically regain control of the dog as it runs to the fence or corner of the garden it tends to bark in. This would usually be 15-30’ in length depending on the garden size. As your dog charges across the garden barking in a certain direction, you can initially brake and then stop the dog with your foot on the training line as you issue a clear-toned message to ‘Stop Barking’ or ‘Be Quiet’. You may already have a command that you’d like to continue with if you feel your dog already understands. No need to shout, stay calm, but clear with your dog. Use the line to bring him to your feet and issue the ‘Sit’ and ‘Stay’ commands. After a short time, it is likely that your dog will become calmer and a quiet moment will appear. Immediately reward that calm and quiet moment with a positive phrase such as ‘Good Quiet’ and offer a high value treat such as a piece of liver cake or cooked chicken…as long as it’s high value to your dog. Keep your dog with you for a minute and be sure that he is calm before releasing him again, as you issue the ‘Okay’ release command or similar as you prefer. You will then need to closely watch your dog and repeat the above as and when required for that session. Be sure not to allow your dog to go to the garden unsupervised until you feel that this behaviour has been resolved and this may mean that toilet breaks are carried out with you alongside your dog on a short lead. Some dogs prefer to toilet on a Flexi lead or the training line as they feel more relaxed that way. A quick note on dog flaps. I’m not keen on them overall. It does allow your dog to go into the garden and relieve itself granted, but you are also at risk of your dog developing bad habits due to boredom and a lack of control. Dog flaps already suggest that the dog might be being left for longer periods, so the two tend to go hand in hand in my experience. Block the dog flap and either be there to let your dog out as needed or hire a dog walker to help you manage this aspect of your dog’s care. Firstly, look at what your dog can see when in the home. Do you allow your dog to rest on the back of the sofa giving it a front row seat to everything that goes by? If your dog was calm and relaxed in that location, I wouldn’t take issue with it, but if your dog is using this as a look-out post and barking at all that passes, we need to block its access to this location. This can sometimes easily be done by removing the chair for a time until the habit has been resolved, or with some smaller dogs, I find that a large section of wide turkey foil can cover the applicable chair base and arms and this will often act as a good deterrent! You learn some weird things in this job! Another way to remove the source of your dog’s angst is to place opaque window film 1/3rd of half the way up from the bottom of the window for a few months. This allows most of the natural light in and but will obscure your dog’s view to the outside world. Very easy to apply if you have some basic DIY skills. After a couple of months or more of calmer behaviour, I usually advise removing the film from the top a few inches each week in keeping with the dog’s progress. This way we remove it gradually, rather than to offer the full view back in one go. You can also drop blinds and pull curtains, but this can be a little oppressive for the human inhabitants when home with the dog. Once you’ve addressed what your dog can or can’t see and made the environment a calmer place for your dog, you can then move on to look at ways in which you can calmly yet quickly interrupt your dogs excessive barking by placing a soft lead and collar on the dog. This should only be used when you’re home to supervise. Sorry to state the obvious, but the lead should be removed when you are out and at nighttimes. Placing a lead on a dog in the home is not something many think to do and so I get to see the dog’s reaction on the day of my visit and this simple measure alone can in some cases take the wind out of the dog’s sails…in a good way. The dog realises that its freedom and ability to do as it wishes is severely restricted. Now, just as we did in the opening barking situation above (1.Territorial behaviour and barking in the garden) we can exercise much greater levels of control much more quickly and so we have a genuine, calm and effective way to interrupt unwanted barking behaviour and to reward the behaviours we do want. Stopping the dog in its tracks or being able to swiftly remove a dog from its barking location in the home can have a profound effect on many dogs. Once your dog has started barking at something outside and you have the lead in your hand, you can then think where to go from there. Some dogs will respond nicely to this simple intervention and as you ask them to join you at your feet and place them in the Sit or Down position, you can calmly reward the calmer behaviour you are experiencing. Reward with high-value food and/or some calm attention once the dog is calm and quiet. Some dogs are more determined to bark in the home and even once you have the lead in your hand you may experience a prolonged barking session. Another calm yet often effective way to deal with this is by implementing a ‘Time Out’ or two. 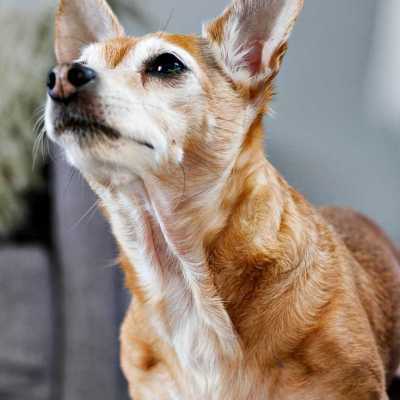 This will mean that each time your dog barks and you find you are unable to stop it easily, you walk your dog into a boring location such as the kitchen or utility room and drop the lead as you exit, saying nothing in the process. Keep the dog there for 1 minute and then re-enter to allow out as you hold the lead again initially. If the dog is barking to come out, wait for a few moments of quiet and then allow it out. Return to the location that your dog was previously barking in and then observe his behaviour until you are satisfied that the lead can be dropped again as you return to normal. Repeat as needed. The first two sections above look at how barking in and out of the home can be addressed in the two broad areas that most owners will experience. Another aspect of barking outside of the home is when walking your dog on a lead in public, as it sees other dogs or people for example, but this is coming out of the immediate realms of my intended subject and will be covered at a later stage under the heading of reactivity or aggressive behaviour in dogs. This is a behaviour problem that I am often faced with, as the owner can find this level of barking too much to handle and of course you have a dog that can be showing potentially frightening behaviour towards an unsuspecting caller at the door. Building on all of the previous methods I have set out in this article, especially those above under sections 1 and 2, you should be able to make good in-roads on this behaviour using the lead in the home when you’re present and a greater sense of control, interruption and reward for calm behaviour as you progress. However, there is another element that we can isolate with the subject of callers to the door and that is the bell or knocker itself. We can desensitise the dog to the sound. With your dog on a regular lead and sitting on a mat and in the Sit-Stay position, you can open the door, and tap on it gently. Should he remain calm and quiet, you can drop him a piece of your chosen high-value food as you issue a calm ‘Good Boy’. Do experiment with food, so that you are satisfied it is the most valuable to him. Over the next few sessions and days, you can build up the strength of the knocking on the door along with gentle use of the letter flap to begin with and to increase the intensity of using the letter flap and door banging as he is able to cope. The same approach can be taken with the doorbell so that your initial activations will need to be very brief and then these can be made longer in keeping with his calm reactions. Once you feel you’re making some headway, you can begin to introduce talking in the doorway, as if to greet a person or taking a delivery for example. I have found that there can be a surprising amount of mileage in this ‘imaginary person’ approach before he realises there is nobody there and that he settles down again. Should your dog bark during these initial sessions, stop the process and firmly tell him ‘Quiet’ (no loud voices) and begin again once he is more settled. It really is a case of working constantly on the behaviour you do want and carrying out the exercises so much that he effectively tires of them and loses interest in making a fuss. It can often take a few initial sessions before your dog settles, so stick with it! Practice this each day for at least a week and provided that after this week you feel he is ready, you can ask a friend to call at the door on a schedule that you’re aware of so that you can begin to put the initial practice into action. Place him on the mat in the sit position, place the lead on him and open the door. Your caller should take no notice of him as they stand at the open door. Allowing your dog to drag a lead in the home when you’re present will enable you to respond to his behaviour more effectively in the first few weeks. So this is an opening sequence of a suggested way to start to overcome this behaviour. Build on the basics that I have set out here for you and place an emphasis on pro-active practice. Another super trick is to place a remote controlled doorbell in the home, so that you can activate it each day at a time when you’re ready to interrupt your dog’s dash to the door, to lift the lead and redirect to his bed instead. Reward him once calm, stay there for a minute, release and repeat as you like. Let’s carry on looking at some other reasons why a dog will bark and more importantly how to address it. There does tend to be some overlap in these subheadings, but that is often the case in the subject of dog behaviour cases. On the spectrum of dog ownership, we can encounter a wide variety of demands that a dog may need to have met for it to remain calm and relaxed. You can probably imagine how much the needs of a Border collie would be in comparison to a ShiTzu. If we don’t provide enough exercise or mental stimulation to the collie that lives in a regular sized home, it will quickly start to make its own entertainment. The same can be said for the Shih Tzu, but you can see where I’m going with this I hope. Sticking with the example of a collie, I have been to numerous homes with collies and they have created racetrack like circuits in the garden due to repeated and often unwanted patterns of activity. This is the sort of thing that a dog can do when it’s bored. It makes its own ‘fun’ and in my experience, this leads to stress, even though the dog may be expending physical energy in the process. When looking at interrupting this behaviour, we can look back at 'Territorial behaviour and barking in the garden' above, but more importantly, what can we do to alleviate the boredom and allow the dog to relax and rest? This involves looking at ways in which we can provide food (because food often motivates a dog) to stay focused on a particular task for a period of time. This would involve a degree of mental as well as physical effort to work things out and this is a very good way to stave off boredom. and to keep your dog calm and quiet. When you keep a single dog, things are a little easier for you in, that you can get your dog to work for its food in a variety of ways. It can still be done with two dogs, but you may need to split them apart when food is involved so as to avoid possessive behaviours from either dog. When I discuss this particular area of dog behaviour with my clients, I will often point them to the sort of products I offer you listed below on Amazon. I am directly familiar with all of these products so that you can buy with confidence. Dried food can be released from a Kong Wobbler. Dried foods can be released from a Buster Food Cube device. Dried foods can be sprinkled onto a clean lawn area as the dogs hunts for it. Wet foods (Forthglade) can be stuffed into a Kong and presented chilled or frozen. An antler chew can keep your dog occupied for hours. Always supervise. Some dogs love to chew on Nylabones. Toys for dogs. Some have a limited effect unless the owner is present to interact. Dried treats for the Wobbler and Cube can be found here. Forthglade dog food for Kong stuffing can be found here. This aspect can be lacking in some dogs and families. The owner may feel that the dog needs to be kept going all of the time so that they will eventually get tired and eventually stop their barking. All things in balance. Once you’ve provided your dog with exercise appropriate to the breed and age of the dog, combined with some games and a blend of obedience throughout, your dog will need to rest. As previously stated, excessive barking due to boredom is stressful for a dog, not to mention you and your neighbours. Once the time is right, bring the dog inside, close the doors and give your dog the opportunity to rest somewhere warm, dry and quiet - ready to do it all again tomorrow. In essence, I am referring to separation anxiety and this can be one of the main causes of barking in the home. Such barking can be prolonged and may cause a lot of distress to neighbours that have to endure this as you may be at work or work night shifts, leading to a dog that barks through the night. It’s not uncommon for the owner to be unaware of the barking until they first hear from a neighbour or the local council with a noise abatement notice. More on this subject at the end of the article. Barking of this nature would usually mean that the owner is out and that the dog is shut inside the home. Some breeds have a very loud bark and in the warmer months with windows open, sound can travel and have a direct impact on your immediate neighbours. Prolonged noise disturbance of this nature can be very tiring and stressful for those subjected to it, not to mention the stress the dog experiences throughout. If you suspect that your dog is barking due to anxiety that it is left alone, then please contact me so that we can look at how to address this in depth for a lasting outcome. Dogs can learn to be left alone, provided that we are not asking too much of them in the process. Nighttime sleeping aside, I advise that a four-hour stint is more than enough for most dogs to be left alone and then we need to let the dog out for toileting and exercise and interaction with a person or other dogs. Look at dog walkers or friends and family and how they might be able to help you. Read through all of the pointers I offer in this article to help get the balance right. Due to the in-depth nature of separation anxiety, I won’t get into a full solution based article here. Please contact me directly if your dog suffers from separation anxiety. Many people mistakenly think that giving the dog access to the garden to run and play is enough. It really isn’t in the vast majority of cases (very large or stately homes and groups of dogs being actively walked excluded). This frustrates me somewhat and I usually discount garden time as exercise time. For something to be called exercise, it will need to be away from the family four walls of the home garden and taken place in the park or in the countryside as a dog is allowed to free run for an hour or more at a time. During this time we can interact with the dog via recalling games, fetch/find it games and other light activities that help build a relationship. The dog is able to mix with dogs and people so that it maintains a degree of social confidence. I realise some readers may have dogs which are not confident in these situations, or may not have the recall and so on. If this is the case, please contact me as this can often be improved. Dogs can become so determined to be interacted with, that should you have the audacity to do your own thing for a time, your dog may begin to bark at you for attention. You then make the occasional mistake to kick the ball for the dog or to pat him on his demand and then before you know it, the dog is barking at you in your own home, just when really you’d like to sit down after a busy day at work. I often recommend that attention can be given, but on your terms, not the dogs. If you find yourself in this position, stop responding to the dog’s efforts. Lift that ball the dog keeps taunting you with. Put it out of the way. No balls in the home I will often suggest. Fully ignore your dog’s rude or pushy attempts to get your engagement. Be sure to only interact with your dog when he is calm and polite at your feet. Ask for the sit and then you can interact with your dog. This approach will greatly help with barking for attention seeking behaviours. Be sure to get the family to follow suit. Once again I refer you back to how to directly address this behaviour in 'Territorial behaviour and barking in the garden and home' above. Once you have spent some time directly addressing your dogs level of barking and reactivity in the home, things should be a great deal calmer and easier going for you, your dog and your neighbours! Some homes experience a lot of ‘people traffic’ as they either walk past your lounge window or maybe you have a side alley that allows the school kids to come through on the way or coming home from school? If your dog is left unattended, this could be the source of a lot of noise unless you implement the solutions offered in the first two headings above. Now, ANY dog breed can be a nuisance barker or bark to excess. ALL of the above breeds can be trained and managed to be calm and quiet in any location, but being aware that some breeds are more disposed to bark than others and then to train against that, can save some people a bit of heartache and it’s my life’s mission to save people’s heartache with their dogs. I recall a legal case that I was involved with to offer my opinion as a Dog Expert Witness regarding a dog that was indeed kept outside in a kennel at night and the neighbours made various recordings of the dog’s loud and mournful noises that would continue throughout the night. The owner was eventually fined and ordered to keep the dog indoors. Is your dog cold or is its bedding wet/damp? Is your dog under exercised? Does your dog have suitable bedding and a quiet place to rest? Is your dog fearful of something (usually noises) in its environment? Is your dog alerting you to a person on or near the property? So, with 11 headings under ‘Why Does My Dog Bark?’, you can see that there are a multitude of reasons for a dog to bark. Some dogs may be barking for a number of reasons at the same time and this can ramp up the stress that your dog experiences. With the right approach, it should be possible to unravel the various reasons for the barking and then treat them individually and then as a more cohesive approach. When dogs repeatedly bark in built-up spaces, the possibility of a complaint against you can be a real concern. I shall set out the various aspects for your consideration below. Dogs will often bark when you are out of the home as it does not have your company or guidance and so it is quite possible that you were not aware of the barking until you first hear from a neighbour or the council. I often advise owners to set up sound recording devices or wi-fi based cameras so that they can keep an eye on their dog’s behaviour in their absence which can give peace of mind. Barking can be seen as a Statutory noise nuisance under the Environmental Protection Act 1990. You can be taken to court if you fail to act on the noise abatement notice within 21 days, possibly leading to a fine of up to £5,000 (and possibly further daily fines of up to £500 for each day on which the offence continues after conviction). 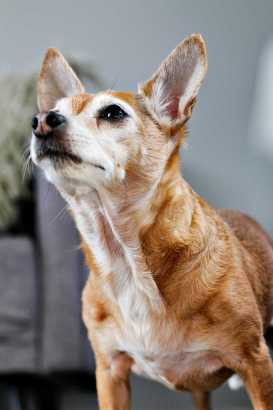 What to do If your neighbour's dog is barking? Firstly, I always advise to drop in and let your neighbour know when a dog has been barking and ideally provide some days and times of the barking to help them pinpoint the problem as they may well not be aware of the problem. A calm and polite approach can help negate the need for an official route to be taken. See if you can commit your neighbour to a time scale of the action that they intend to take and exchange details so that you can both remain in touch in the coming days. Taking this non-confrontational first step can in many cases get the problem solved by making small changes to the dog’s care routine for example. If you are met in a non-cooperative spirit and come away feeling that you have no choice but to report the owner, then you are within your rights to present your noise evidence and make a noise complaint to the Environmental Health Department within your local authority. Do not approach the Police or the RSPCA for a barking dog as it is not their function to deal with such cases. If for example there has been or was going to be a breach of the peace between people, or that the RSPCA had grounds to visit the property on animal welfare issues, then that could be a different matter. Make a noise complaint to the Environmental Health Department within your local authority.